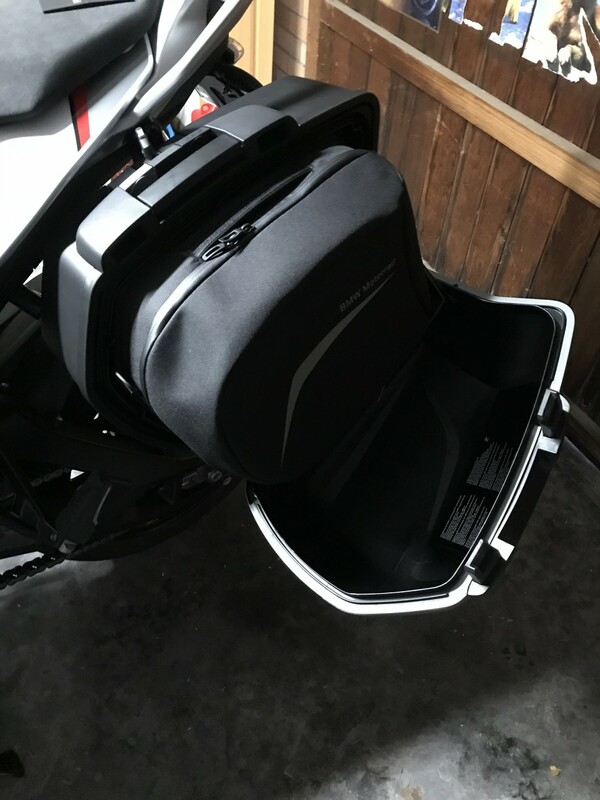 Can anyone confirm if the R1200R/RS BMW panniers liners are identical to to the XR liners? I just bought some RS liners for a great price on ebay and thought i was terribly clever but then realised the R bikes have a cutout for the exhaust. I am hoping the liners will still fit the XR bags but may just have a moulded cutout for the RS exhaust? Just thought someone may know first hand as best i can tell the XR bags are a different part number and for some reason alot more expensive? I just bought several different sized waterproof stuff bags from my local hiking/outdoor store works perfectly for me. Thanks for the replies. I know the bmw liners are overpriced for what they are but they were the right price. Hopefully they fit apart from the exhaust cutout. They are due to arrive tomorrow so I guess i will find out! Just an FYI for other members. The RS bags fit perfectly. You lose a small amount of room for a small cutout that doesn’t exist in the XR bags, I would say less than a litre combined across both bags. Barely an issue and apart from that they are identical to the XR bags. Not sure if its a BMW quirk in Australia but for some reason the RS liners are significantly cheaper than the XR liners? Look you do lose a small amount of storage but it probably equates to a bundled pair of riding socks. I am sure the XR liners are the best option but rrp on the XR bags are $464 AUD and I picked up the RS bags for $250 posted. I have these on my bike and they fit perfectly. Don't know about shipping to other locations, but ground shipping in the US was free. I don't work there...just a satisfied customer. BMW's new prices are stupid high. 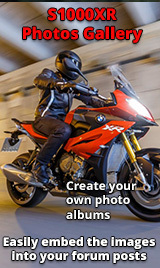 Although this link is for other BMWs, they do fit the S1000XR. If you search their other items you'll find the specific advert for us. I bought a set and I'm very happy with them. And only £55!! I purchased the same, great liners have used them on two trips now and, they have been great. Excellent value to.